Policies of the U.S. Federal Reserve (“the Fed”) play an increasingly active role in the performance of the economy and financial markets. The most well-known of these is its ability to set short-term interest rates, which in turn influences economic trends and the yield levels for bonds of all maturities. The central bank enacts a low-rate policy when it wants to stimulate growth, and it maintains higher rates when it wants to contain inflation. In recent years, however, this approach ran into a problem: the Fed effectively cut rates to nearly zero, meaning that it no longer had the ability to stimulate growth through its interest rate policy. This problem prompted the Fed to turn to the next weapon in its arsenal: quantitative easing. The Fed, or any central bank for that matter, enacts quantitative easing by creating money and then buying bonds or other financial assets from banks. The banks then will have more cash available to lend. Higher loan growth, in turn, should make it easier to finance projects – for example, the construction of a new office building. These projects put people to work, thereby helping the economy to grow. In addition, the Fed’s purchases help drive up the prices of bonds by reducing their supply, which causes their yields to fall. Lower yields, in turn, provide further fuel for economic expansion by lowering borrowers’ costs. This is how the idea works on paper, at least. In practice, banks don’t have to loan excess cash. 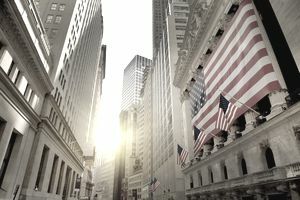 If banks are tentative and lacking in confidence – as was the case in the years following the financial crisis of 2008 – the higher money supply may not prove to be the engine of growth the Fed had in mind. In the interval from November 25, 2008 through March 2010, slow growth and high unemployment that followed in the wake of the 2007-2008 financial meltdown prompted the Fed to stimulate the economy through a policy of quantitative easing The program had little impact initially, so the Fed announced an expansion of the program from $600 billion to $1.25 trillion on March 18, 2009. Immediately after the first quantitative easing program concluded, trouble emerged in the form of slower growth, the rise of the European debt crisis, and renewed instability in the financial markets. The Fed moved in with a second round of quantitative easing, which became known as “QE2” and inIn response, the Fed purchased another $600 billion in short-term bonds. This program - which Chairman Ben Bernanke first hinted at on August 27, 2010 - ran from November 2010 through June 2011. QE2 sparked a rally in the financial markets but did little to spur sustainable economic growth. On September 13, 2012, the U.S. Federal Reserve launched its third round of quantitative easing. In addition, the Fed officially stated – for the first time – that it would keep short-term rates low through 2015. These moves reflect the Fed's view that the economy still hadn't reached the point of self-sustaining growth (in other words, the ability to keep growing without stimulus). Accordingly, the Fed adopted what some have called "QE Infinity," a plan to purchase $85 billion of fixed-income securities per month, $40 billion of mortgage-backed securities and $45 billion of U.S. Treasuries. Unlike QE1 and QE2, this third program had no set end date. However, the early consensus was that the Fed would begin to wind down the size of its purchases before 2013 was over, with the goal of ending the program by 2015. Then Fed Chairman Ben Bernanke hinted on May 22, 2013 hint that the Fed could "taper" QE before year-end. While the vast majority of economists and investors expected the first tapering to occur on September 18, 2013, the Fed surprised the markets by announcing that the program would stay at $85 billion per month indefinitely based on economic conditions. On December 18, 2013, the Fed announced the first tapering. Beginning in January, it reduced its purchases to $75 billion per month - $35 billion of mortgage-backed securities and $40 billion of Treasuries. The Fed subsequently announced several additional reductions, gradually reducing its purchases and finally concluding the program in October, 2014. Despite these actions, which proposed to put the U.S. economy back on course, as of June 2016, economic uncertainty, slow economic growth and, particularly, slow wage growth persist. Growing financial inequality has only deepened the U.S. population's pessimism about the country's economic future. The best that can be said about quantitative easing -- which is an important benefit -- is that probably lessened the economic pain. It did not make the country whole again, at least not in the short term. It helps banks more than the economy, since they can opt to strengthen their balance sheets by “keeping” the money rather than using it to increase their loan activity. By creating money, the Fed makes the U.S. dollar less competitive against foreign currencies. (Think supply and demand: a greater supply of dollars, coupled with equal demand, would lead to ​falling prices; in this case, the “amount” of foreign currency a dollar can buy). Increasing the money supply can create inflation. Since there is a delay between the implementation of Fed policy and the economic impact, inflation may quickly rise to levels that can’t be contained. Quantitative easing can create “bubbles” in asset prices. It should be noted that some of these objections are confirmed by the data, but that others are not. The benefits of quantitative easing remain disputed.